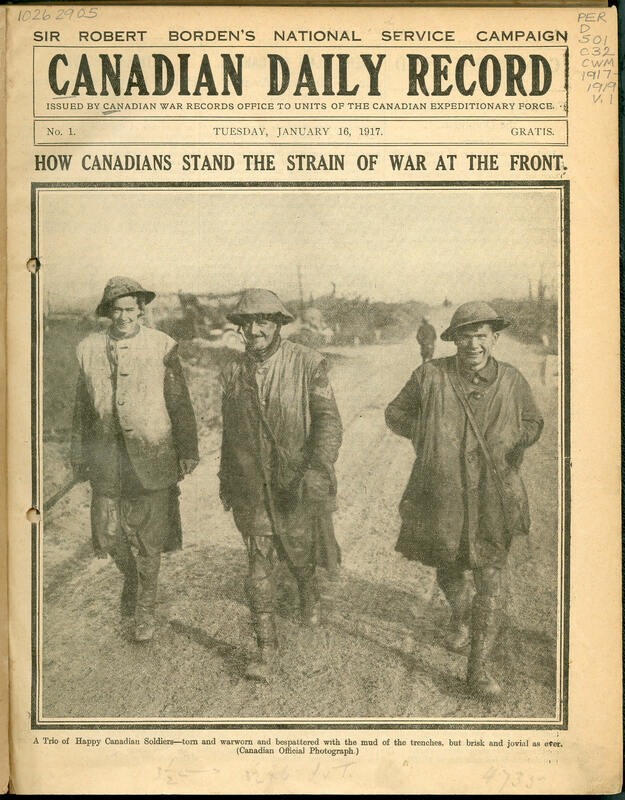 The Canadian Daily Record was a semi-official service newspaper published by the Canadian War Records Office and issued to Canadian Expeditionary Force units. It contained information from Canadian newspapers on events at home and frequent depictions of Canadian soldiers as captured by the official photographers. The newspaper was relentlessly cheerful and rarely depicted the horrors of war.